More than 30 years ago, officer with the Warrick County Fraternal Order of Police vowed to provide Christmas gifts for less fortunate children in the area. This tradition was carried out on December 4th at the Kid’s Christmas Party kicked off with a Pizza Chef pizza party for 135 children from Warrick and Spencer County. Following a night of pizza and Christmas Carols, ‘Ol Saint Nicholas popped in and gave a toy, as well as some much needed winter attire, to every child. Retired Boonville Police Department Officer Jerry Abshire recalls the first Kid’s Christmas when one child’s sole wish was for a new Bible for Christmas. 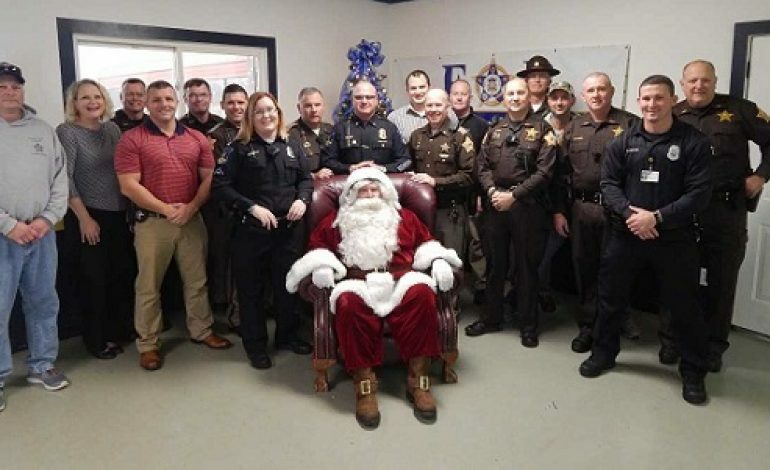 Ever since, the Warrick County FOP depends on fund raisers, auctions and local community member donations to keep this Christmas tradition alive.